So yesterday I made two DIYs, here's one and the next one I'll share on Sunday! 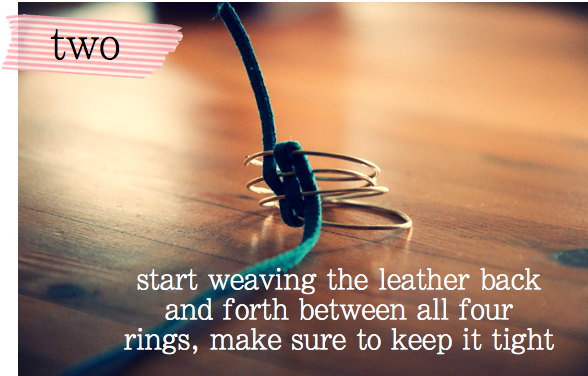 The Leather wrapped Ring is super easy! 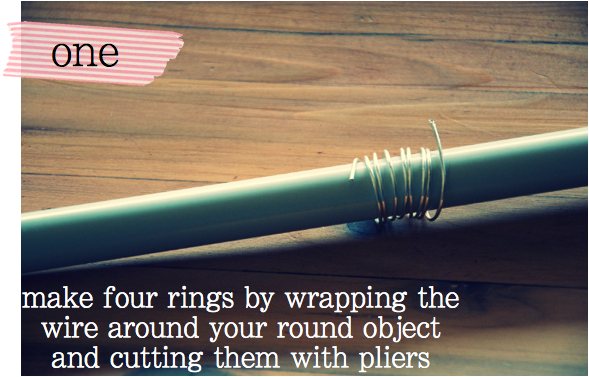 You could even turn it into a big bangle if you wanted! Such a cute idea, thanks for sharing :) And so nice to 'meet you' as well!! Ooo I like this. Very pretty. I shall have to keep an eye out for some leather like that. This is great. Easy and so cool! I love how easy that is! I love this ring, project! It's super cute and looks very trendy too. I am suppose to be cleaning right now so I'll bookmark your page and come back here soon to check out all your other ideas too. I really want to try this ring and give it to my collage age daughter and my niece who is 13. I have a blog I'd like to add a link with your project too, if you don't mind. I am sure many more people would enjoy doing this. This woud be perfect for my teenage daughter and nieces!! Thanks for sharing! Totally awesome! 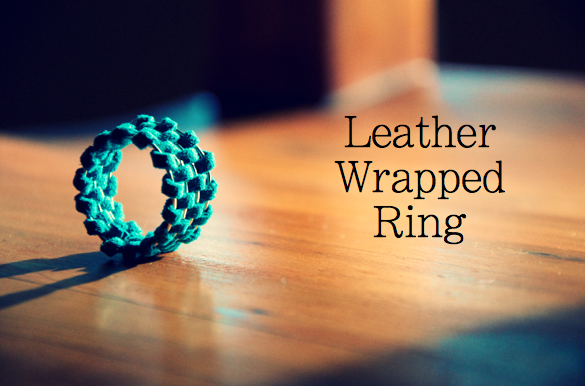 I like the fact that the leather makes wearing the ring comfortable! what a great little ring!!! What a lovely idea!! !It is beautiful!Thank you for sharing!!! I really like this ring super easy will make me one, thanks! it's so so so beautifull!!!! 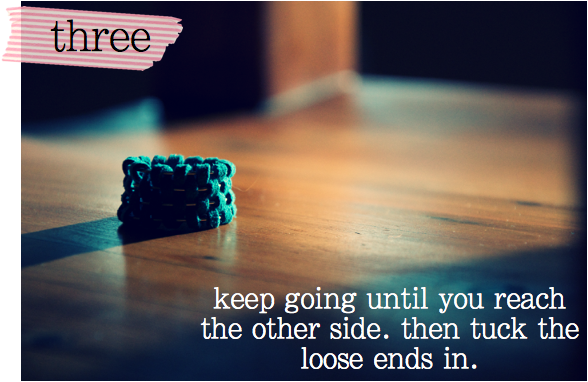 I follow True Blue Me & You on Tumblr, so that's how I found this cute tutorial. I'm hoping to make some bigger to go over plain sweater sleeves to give them some "oomph". 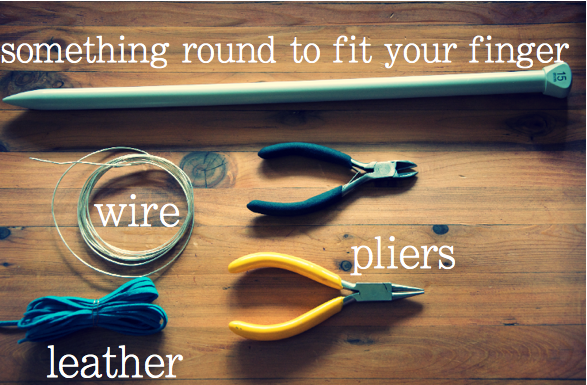 I'm guessing I might have to use slightly larger gauge wire so the bracelet won't become smashed. Thanks for the idea! OMG!! I LOVE IT!!!! Can i share your tutorial in my blog please?? ?